Jewel-like Menorca is poised in the Mediterranean Sea and provides a welcomed drop in tempo from the likes of Ibiza and Majorca. With its long and sandy azure-watered beach, and rural working farmland, Punta Prima on the south of the island is a rustic retreat and escape from the flocking crowds of the neighbouring party islands and busier resorts. Alongside this slower and gentler pace of life is a traditionalist and authentic Menorcan culture, and cuisine is a big part of this. Ingredients are simple and heavily feature the Mediterranean staples of bread, olive oil and seafood. Here’s our ultimate guide to dining like a local in the tranquil resort town of Punta Prima. We recommend kicking off the day with a sugar kick, as the Menorcans do. Enjoy finger-like doughnuts called churros, brushed with icing sugar and then dipped in a thick and sumptuous chocolate sauce. 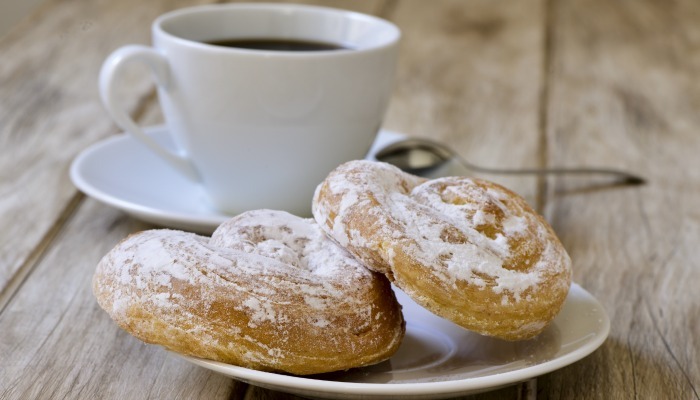 Small pastries are also a popular and traditional choice for breakfast on the island, commonly made with toasted nougat and almonds, delicately sprinkled with icing sugar. Ensaimadas are particularly tasty doughy cakes covered in icing sugar. This may all sound like a pretty indulgent way to begin the day, but hey, you are on holiday. Where to find it in Punta Prima: Bollería y Panadería Maruja is a charming bakery selling tasty pastries and just a six-minute taxi ride from Punta Prima. Tapas features heavily on the lunch menus of bars dotted across the island. 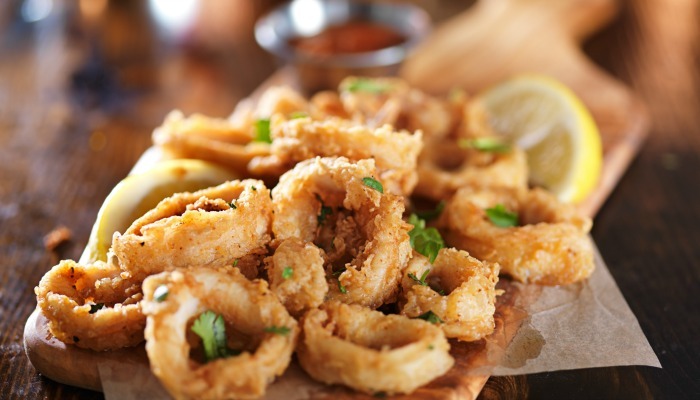 Among the most popular choices of tapas are albondigas – a type of meatball, and calamares a la romana – fried squid rings that feature in any self-respecting Mediterranean island restaurant. Snack on freshly cut serano ham and try the parmasan-like Mahon – a cheese cherished on the island and originating in the island capital, with evidence of its existence dating as far back as 3,000 BC. An alternative lunch option is oliagio – a chilled gaspacho-like soup of rich tomatoes and peppers served with locally picked figs and stuffed aubergines. For a delicious side option, Menorcans have well and truly put their stamp on the much-loved condiment – mayonnaise. Whilst the French are stating their claim on mayonnaise, natives to the island have no doubt its heritage to the town of Mahon (hence the name). Made with local eggs and Mediterranean olive oil, the sauce is more of a dip and is served with toasted bread. Where to find it in Punta Prima: El Faro de Punta Prima – Al fresco dining with sea views in the heart of Punta Prima. It’s hardly surprising that the island’s natives reap the benefits of the surrounding Mediterranean Sea and consequently have developed some seafood dishes unique to Menorca. 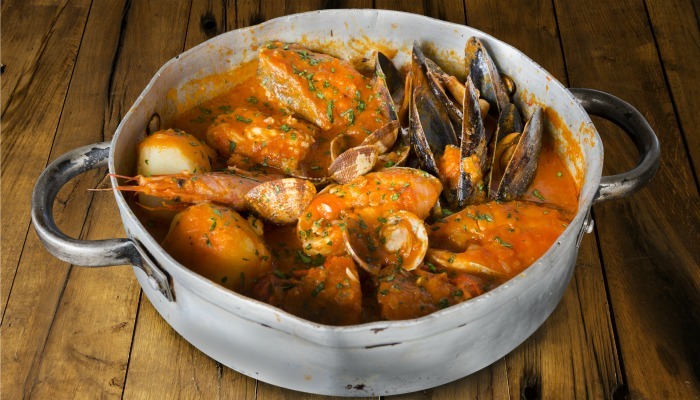 The best-known seafood dish is caldereta de langosta – a tasty and succulent lobster stew served on thin slices of toast. The dish is made from the spiny blue lobster and can typically be seen at restaurants up and down the coastline on Sundays. Another dish associated with the island is sobrasada – a pork sausage made with peppers – and the traditional carn i xua – a sausage made of bacon and lean meat. Where to find it in Punta Prima: En Caragol – a seafood restaurant with fresh, local dishes and a panoramic vista of the sea. As you may have gathered by now, Menorcans have a pretty raging sweet tooth, with specialities of desert including crespells – a tasty jam-filled biscuit, and pastissets – like a crumbly shortbread. The Menorcans have also put their stamp on the traditional flan dessert by adding fresh fruit. Realistically though, you’re on holiday, and deserts are going to largely consist of digestifs to get your evening rolling. 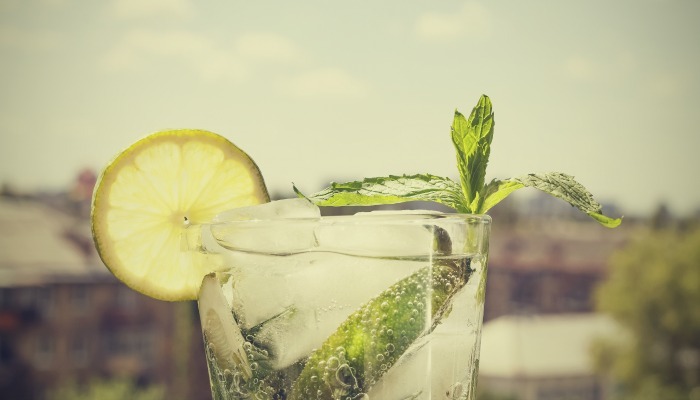 Gin has long been a favourite of locals, owing largely to the island’s 18th-century British influence. Pomada is a refreshing mixture of fresh lemonade and gin that will revive you after a hard day of lounging around on a sunny beach. Where to find it in Punta Prima: Noray – a friendly beach bar that puts on live music in the summer months.